flat, and shaded pitches, ideal for peace and relaxation! Our pitches are flat, grassy, shaded to semi-shaded, delimited by flowering shrubs. We have built our sanitary in a large barn; they are spacious and powered by solar hot water and toilets by rainwater or well. 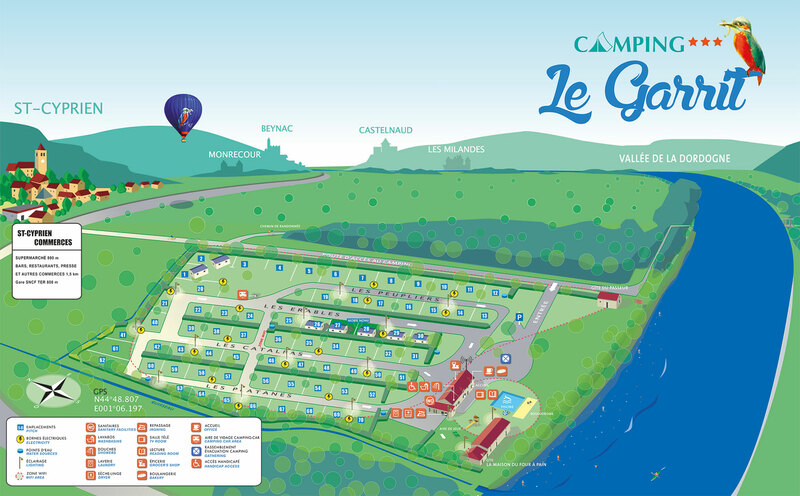 Camping*** du Garrit welcomes you at a stonethrow from Sarlat, at the heart of the valley of the 5 chateaus, where leisure opportunities, sports and gastronomy await you! Select the dates of your stay and the type of accommodation you require to view availability and rates.